I’m late today. I spent the morning running out to Pasadena to attend a daylong series of presentations on retirement (remember I’m a university professor and nearing the age when adults consider retiring). It’s kind of strange to contemplate handling senior citizen issues when I don’t feel like one, but anyway. The other time intrusion today was being part of an attempt to do some audio demos in NYC during the week of CE Week in late June. More information to follow. When I showed up early this morning to check email, I got one more from my new friend in Australia…Mark Goldstein from CD Illumination. As I expected, he’s not really done with me. Whenever a touchy feely, emo audiophile gets challenged by the bits vs. bits argument or gets backed into a corner by science, the reaction is quite often to go on the attack. It happened this morning in one last email from CD Illumination. You know Mark I think there is something terribly wrong here because the improvement in sound quality between my copy and your original is very obvious to any experienced listener I know. So I can make three deductions about your evals: 1. 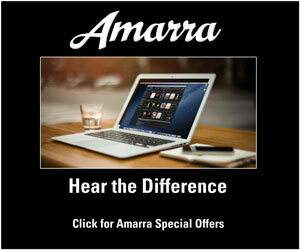 Your equipment somehow equalises the differences; 2. You are physiologically or psychologically unable to appreciate the improvement; 3. You are desperately trying to cover up the differences you have already heard so as to protect your bits and bytes argument. Which by the way most audiophiles have already moved on and see it as a ‘flat earth’ dogmatic stance. You assertions of better fidelity didn’t hold up in my evaluation. You’re right that I’m skeptical but I didn’t let that affect my judgment. I spent a great deal of time trying to verify your claims…and I involved two other very qualified audio engineers as well. I did the testing in multiple places using multiple systems as you recommended. My equipment ranges from very high-end audiophile, to professional studio, to consumer grade, to auto system, and desktop playback. I would say that I gave a very thorough evaluation using every possible variant. I did not put the discs in a $50 CD player. If my listening ability is questioned then what about the other two engineers? I didn’t say anything to them other than to ask if there was a difference in the sound. They heard no differences when switching back and forth. As a professional mastering engineer with credits stretching back for 30 years (Bad Company, The Allman Brothers, etc), I’ll put my hearing acuity up against yours and your friends any day. I’ve been honest about the process and open to your suggestions. If I had heard any changes at all (not necessarily improvements), I know I have the integrity to acknowledge my own failings. I’ve been wrong many times in my life. I didn’t spent all this time and effort to lie about the results. Would you like to hear from the other engineers I involved in the evaluation? Unfortunately, your claims of sonic improvements in my system with my content were debunked. It’s unfortunate for you and CD Illumination, but it is true that the same bits on a replicated CD and a CD-R copy (even with your special process) sounded identical when played through the same signal path. If all you do is accept this narrow case, there’s been progress. If you continue to doubt my integrity, my process, and abilities, it’s more telling about your own self-denial than anything else. Good luck with your enterprise. The bits triumphed over myths this time. Why do the “accessory hounds” and “tweak heads” lock up whenever evidence is presented that goes against their position? Rather than confront the truth, they claim, “if it sounds good or better, then it is better!” Who are the ones who are ‘flat earth’ dogmatic believers? Please keep doing what you’re doing. You may not be persuading the subjectivist masses but that’s OK. You’re providing a great service and a breath of fresh audiophile air to many. Thanks again. Sorry to hear that Mark Goldstein is an Aussie. Just wanted to let you know that there are plenty of us here who are interested in separating out the facts from the BS. Your posts are a real help in doing so. Please keep up the good work. Mark has been a gentleman through the entire process…but he just can’t accept the bits are bits concept. I would have preferred that he leave the last email unsent. This is not about me…it’s about him. Like a few others here, I had a sense of how this would end, Mark. Snake oildio salesmen and the anti-digital audio lobby both present themselves as calm, friendly, and sophisticated, with refined musical sensitivity and an accommodating attitude to different audio points of view. But that all depends on those who challenge them not being too persistent and rational for too long. Backed into a corner, they turn into cornered rats. “It is difficult to get a man to understand something, when his salary depends upon his not understanding it!” (Upton Sinclair). You are being very generous in attributing to self-delusion what can be better explained by mendacity. Mark – I thought you may be interested in seeing this. I heard the piece this morning on the local NPR station during the program “The Takeaway”. You may have an opportunity to expose the farce you so passionately try to expose. John, I was alerted to this the day that it came out. And I took it…getting 3 out of 6. And I also captured each of the stream and discovered a little NPR hocus pocus. Honestly, I don’t think those preparing the evaluation know anything about audio files. Sorry Mark, but we all knew how this would end. I couldn’t begin to count the numbers of times I’ve read the exact same responces from the lunatic fringe whenever their snake oil claims were challenged over the last 40+ years. What I find saddest is that if all the energy that’s been expended on audio sudo-science was put into real engineering development we might have made some truly amazing advances in the SOTA. then, about 1,5k for a Toshiba 50″ RP 720i around 05, and under 1k for a Sony 55″ 1080P 120hz flat screen 3+ years ago. From VCRs to sub $100 BluRays. Now that’s what I call progress and advancement into real HD. Wow! So much for being nice. Yeah, I guess I shouldn’t have been surprised. Wow. This one interaction sums up everything that’s wrong in the audio world. It isn’t about science or engineering anymore. It’s about voodoo and how much you can bamboozle your customer into spending on his/her cabling. Even the lowly power cord, whose job is to conduct electricity between the wall socket and your equipment, has become a “component”. The feet on your equipment are a “component”. I frequent an audio bulletin board where I see pictures of peoples systems. In many cases, people have spent major dollarage on cabling but have obviously paid no attention whatsoever to basic room acoustics (planar speakers in front of glass patio doors, for example). It’s all about hocus-pocus now. Saddest part is that, as you pointed out in your email response, this person seems to be one of the ones who actually believes his own BS. Well, you’ve got to believe in your product in order to be able to sell it. No wonder the audio hobby is dying. It’s not all hocus-pocus by a very long shot. Yes, there is b.s in audio, b.s. in food, b.s in cars, b.s. in watches, and a ton of b.s. in recording studios too. The idea that there has been a long-term “mass hosing” of audiophiles by completely unscrupulous dealers or manufacturers…now that’s B.S. Most ‘philes are pretty intelligent people. The idea that they leave common sense and their brains outside the door of a hi-fi store, go in, spend dough to get screwed because they like it and will come back for more, that too is utter b.s. People have a choice and know the difference between processed food and organic; the same is true for audio purchases. 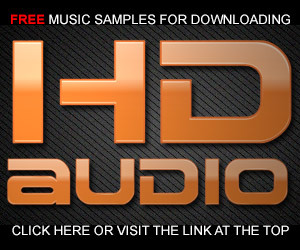 Thank God there is no equivalent to Monsanto in the audio business! I’m not sure I would agree that there is no Monsanto in the audio business. Maybe not the 800 pound Gorilla but there are lots of monkeys. I could have written his email to you on his behalf. It is the regular cliche of audiophile tweakery. Your equipment is no good, your hearing/emotional sensitivity is no good, you let your rational bias prevent you from hearing the obvious, and that is all par for the course. You simply don’t believe in the magic unicorns. At least someone else is hearing your gospel for a change. One red herring that runs through these dialogues is a seeming 180degree chasm existing between so-called ‘snake oil worshipers’ and ‘serious audio professionals’. I am a serious audio professional w/excellent references, but I’m perfectly happy to check things out. What I’m getting at is it would be more meaningful to acknowledge a ‘middle ground’ where people who know their stuff are willing at times to step out of the box and investigate something not even caring about the current boundaries but simply seeing what the ears perceive. I can’t speak for the thing you tested, may well be bogus. Craig, there is no middle ground in this instance. I spent way too much time on this for the benefit of the guy at CD Illumination. I confirmed that the bits on both discs are identical…even after his special processes. That they didn’t sound different through the same signal path shouldn’t have come as a surprise to the guy. I know I tend towards the science side of things…but none of claims that this guys makes are true. Even his explanations and diagrams are not right. I stepped out of my box and gave up 6 plus hours of my time to this tweak. As to your final quote, the very well-respected high-end audio figure is wrong. There are lots of things in high-end audio that don’t matter at all. Vivifying your discs is one of many. Mark, you mis-perceived the “in high end, everything matters” comment. It is not about using every valid or questionable tweak, but simply being aware that there are a multitude of variables that can and do affect the way a system sounds, and any attempt at getting to the top of the audio mountain will be unsuccessful unless quite a few rocks are lifted to see what’s underneath. 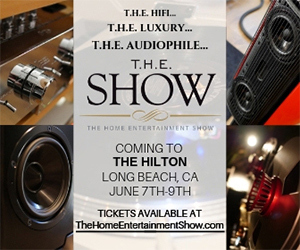 Hi-Fi started a long time ago, and it has not been all ” smoke and mirrors”, most improvements have come from improved design and engineering and improvements in passive parts quality, but some have come from areas that were not on the audio map back at the beginning, and only later were found to have profound effects on audio systems. 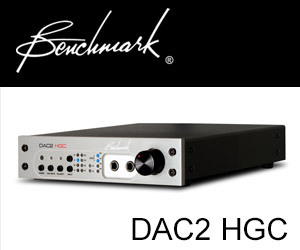 The two that come to mind are lowering distortion on the AC line through very high quality filtering way above the audio band ,i.e.,proper AC line conditioning , and greatly reducing mechanical resonance transmission and energy storage in audio components to improve transient response and reduce smearing. And in each category there are some totally right-on products, and some turkeys too. I just don’t paint red with as broad a brush as you. Only if it’s only reason for existence is to enrich it’s snake oil peddlers bank account. Today’s Hi End community is a disgrace and embarrassment to every honest electrical engineer. NO difference equals no $$$. Hence, they will always hear a difference.And it is ALWAYS for the better. 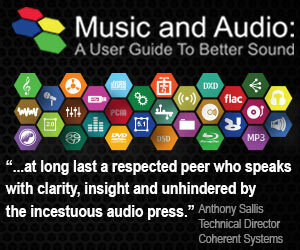 An audiophile forum poster I read has a nice signature line. In high-end audio, you can’t even fight an opinion with the facts.